In combat, military medics treat everything from minor illnesses to catastrophic injuries. But when medics return home, they often struggle to find a career in which they can apply their medical knowledge. Blue Cross and Blue Shield of North Carolina (Blue Cross NC) is helping to solve this problem through a unique partnership with the University of North Carolina at Chapel Hill (UNC) that is helping veterans build medical careers while expanding healthcare access in rural areas. UNC launched the Physician Assistant Studies program with a $1.2 million gift from Blue Cross NC in 2012. Now, a second $1.2 million gift from Blue Cross NC will allow the program to more than double, growing from 40 students to 100 over the next five years. Moreover, the gift will help UNC recruit top faculty members and establish more rural healthcare sites. "Our men and women in the armed forces have some of the best real-world medical training," said Dr. Patrick Conway, president and CEO of Blue Cross NC. "Helping them move into civilian healthcare is a win for our state. North Carolina gains great medical professionals, and we improve access to care." More than a third of the students in UNC’s physician assistant programs are veterans. Of those, nearly two-thirds are from North Carolina, and more than one in five are from a medically underserved population. In addition to recruiting veterans, the program also strives to draw students from areas of the state with limited access to medical care. 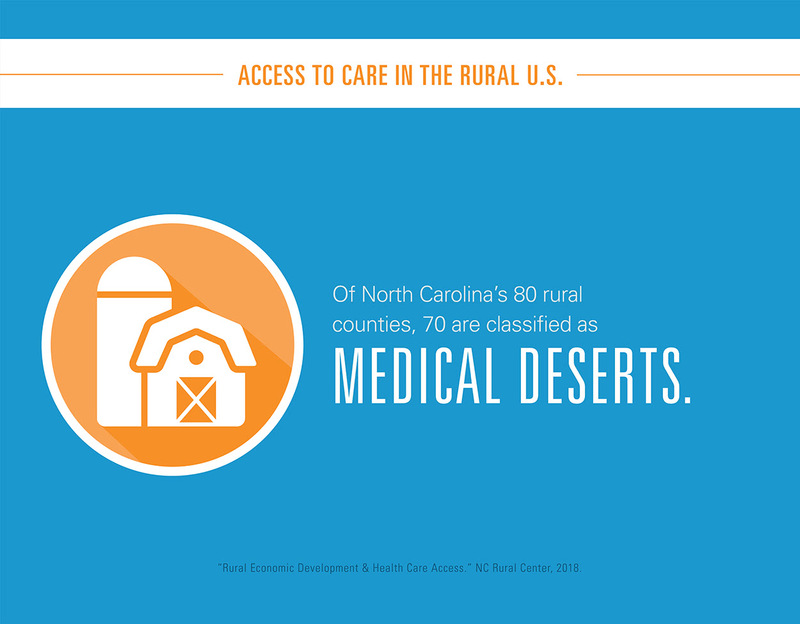 Of North Carolina’s 80 rural counties, 70 are classified as medical deserts, which means that people have very little or no access to primary care. 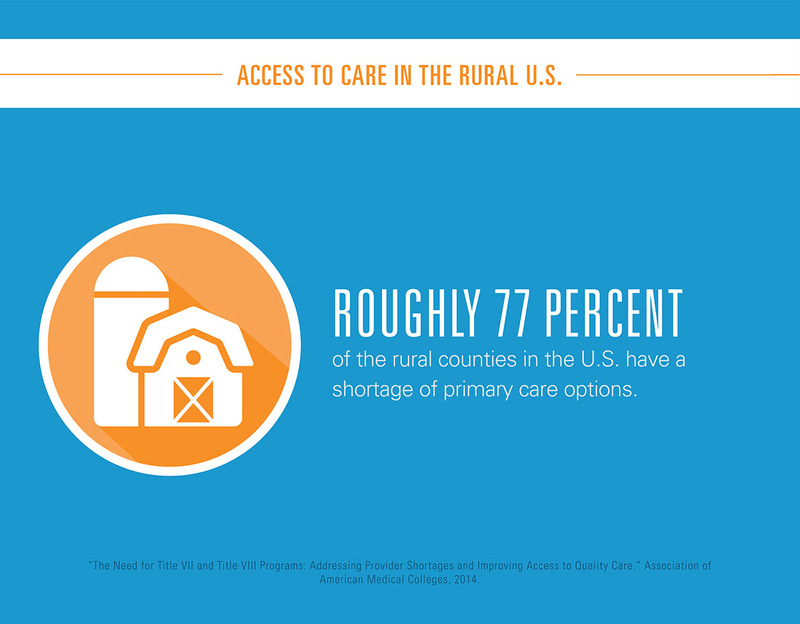 This is part of a worrisome nationwide trend -- more than 77 percent of rural counties across the country have a shortage of primary care options, according to the National Rural Health Association. The lack of access to healthcare is only expected to worsen. 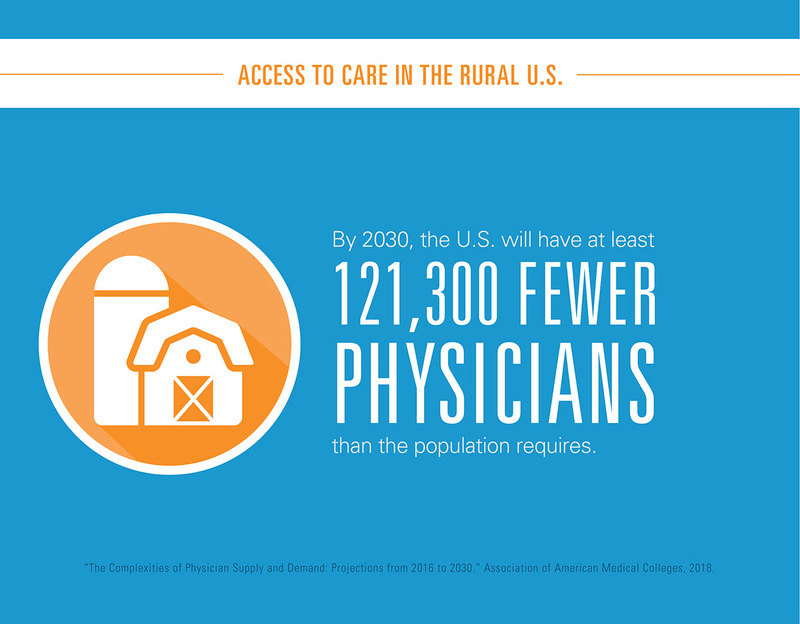 According to projections from the Association of American Medical Colleges, by 2030, the United States will have at least 121,300 fewer physicians than the population requires. The deficit will be particularly pronounced in primary care, compounding the lack of healthcare access in rural areas. Physicians’ assistants can bridge this gap. They provide primary care, order tests, make diagnoses and write prescriptions. Moreover, they can assist with surgery, provide psychiatric care and treat patients in the emergency room. Blue Cross NC’s gift will enable UNC’s physician assistant program to offer scholarships to veterans and to students committed to serving the state’s rural areas. "This continued support from Blue Cross NC has bolstered our Physician Assistant Studies program at the UNC School of Medicine," said Dr. William L. Roper, dean of the UNC School of Medicine and CEO of UNC Health Care. "Our ongoing partnership means more North Carolinians will have access to healthcare, which is a critical need in our state."